Sydney Shop Girl: Up At Dawn and Reflecting On Life. Offspring this Week. Up At Dawn and Reflecting On Life. Offspring this Week. I'm always up with the birds on Saturdays. Even in winter. It gives me a chance to have a cup of tea before going on my run, have a little quiet time. SSG Manor's pulse just throbs and hums as soothing background noise. The fridge motor, the kitchen clock and that quiet sound of early morning in the suburbs that is a collaboration of nature and infrastructure. The one thing that I'm glad is missing in the noise is rain. Because in Mr SSG's book, that would be the deal breaker for going to market today. I'm really looking forward to going today. It has such a lovely atmosphere and I'm craving and egg and bacon roll for breakfast. That will be one thing keeping me honest on my run today. There will be no wimping out and turning around and running for home earlier than I am meant to. I have a new Hello Kitty in case you might have missed the photo. From an ABC Store in Hawaii. She's got a killer tan which I don't think is St Tropez or Model Co, perhaps Cat Caramel? She's joining my other Hello Kitty-s on the red back pack of adventures which I've dusted off for today's market adventure. My Friday evening was pretty low key and quiet. It was a pretty long day, more a draining and intense long than disaster ridden long. I think I was showing great fortitude in still being up for kicking off the Friday night of Dry July with a cup of herbal tea. Love you, T2 Ginger and Lemongrass. I can deny it no longer. 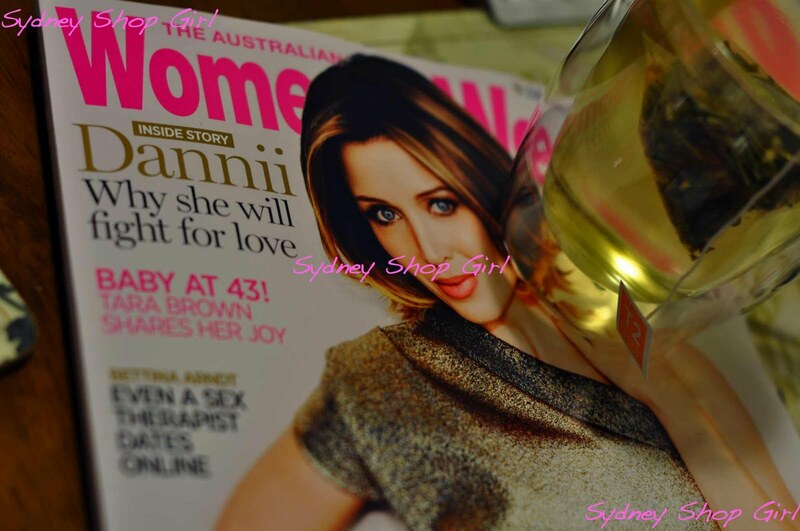 The Australian Womens' Weekly has become a regular fixture in my magazine buying life. I need a subscription. It's a sign I've come to terms with my change in magazine demographic. Or perhaps the AWW is aiming for a younger market? Or the same market with a more youthful lifestyle? It's interesting to see celebrities also making that transition with their fans. We're growing old(er) and wiser together. Dannii Minogue is on this month's cover and I am covetting her hair. Julie Goodwin has a whole feature on slow cooker recipes and I think I saw a free form apple pie recipe somewhere too. There are also the latest photos of Victoria Beckham's baby bump. I think she is due soon and with regards to her hair? She's gone for dramatic brunette extensions. 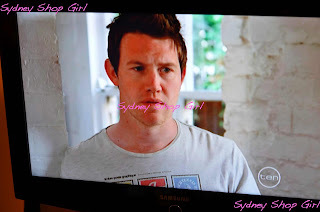 I also caught up with this week's episodes of Offspring. So many people I know love this show. Carly Findlay did a great post about the fashion, it's been a topic of discussion on Mia Freedman's website and the feedback there was very positive too. Besides the wardrobe, the talented cast and the setting, I'm a big fan of how the writers explore issues which are close to the hearts of real women by not only exploring the reactions of women but also of the men in these women's lives. I like how the men are also allowed to have complex reactions and not just be shadowy, shallow side figures to the real drama of 'a woman's pain'. I hope I'm not giving too much away but a current plot line is Mick and Billie's recent pregnancy loss. It was a long road to get pregnant. Eventually Mick's estranged brother steps in and helps by being a sperm donor. Getting to this point was a significant emotional upheaval for Mick as he questioned his ability to be a 'real man' but at the same time wanting to give Billie the baby she really wants. These issues were worked through, the 3 devloped ground rules for the future of the baby and then tragically, the baby is lost. Everyone is always saying that men and women 'grieve differently' and then not much else is said after that. However, this week, on prime time commerical television, some of that silence has been broken. Some partners get shut out in the first weeks and months after it happens. No matter what they say or do. None of it is right. It's insulting or embarrassing. It's not wanted. While others get on with their lives (the non relationship aspects) as if nothing happened. But something did. The get on with great speed and focus. Because it's just easier this way. Dealing only with things you can control. Close friends and family try to help but they often get it wrong too. By saying the wrong things, by being 'insensitive' by bringing young children to visit or meeting in places that are full of new mums and babies. Deep, deep down you know that they are only trying to help because they care for you and they love you dearly. But you're only dealing with the shallow. Those layers of sadness, anger and loss that you're feeling. Because at this point, it really feels like it is only your loss and your uncertainty and your sadness and that no one else could ever make it better. It's a comfort in a perverse kind of way. Something definite, at least, in a very uncertain state of affairs. 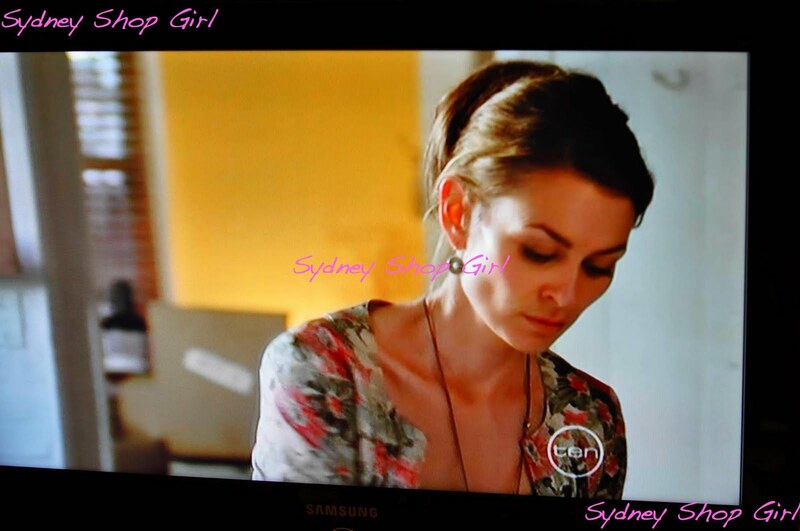 A lot went down on Offspring this week. Drama, laughs and as always those fabulous clothes. In addition to all these, it explored a real issue with empathy and honesty. It brought a topic we don't often want to bring up right into our lounge rooms so that we could ignore it no longer. I love your honesty SSG and I feel a little bit more enlightened by reading this post. I will keep sending little thoughts out to you two and the universe. 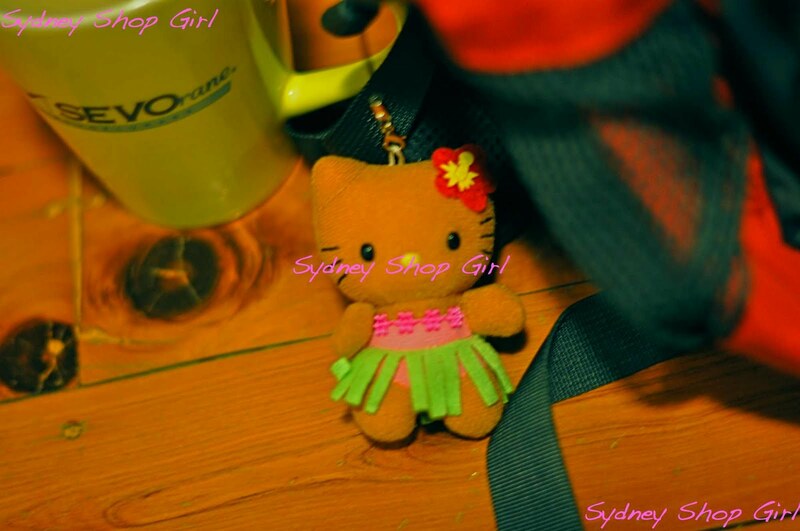 Dear SSG, I love the Hello Kitty - I do hope she is using fake tan. Thanks for the link :) I thought about you when I watched Offspring - it gave me insight about grief. Hey SSG, thankyou for visiting. From your comment, you sound like a clinician of some sort??? I like your blog, very pretty and full of stuff I like. Including offspring, love offspring. Gah!! I love Offspring so much. Huge week, wasn't it. I adore Nina. Her neurotic ways are so endearing. SSG oh my gosh how I love offspring! I love that one minute I am laughing out loud ( Nina cooking)) and the next minute I am weeping softly. I heart the writers. They have portrayed seriously important issues in such a sensitive and empathetic way. I love Nina's clothes plus dr p and let's face it all Nina's loves are the bomb!